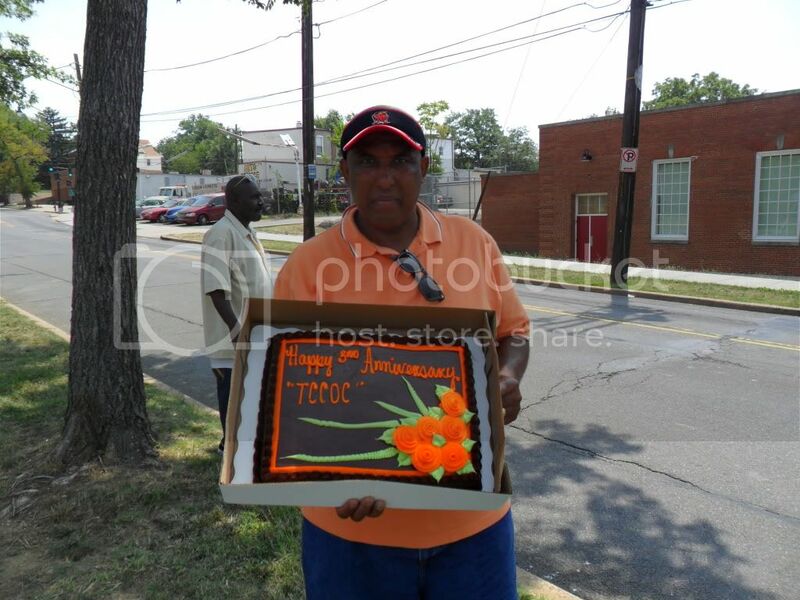 If you are interested in viewing additional photographs of our community activities, please feel free to visit our TCCOC Photobucket Page to view our albums. 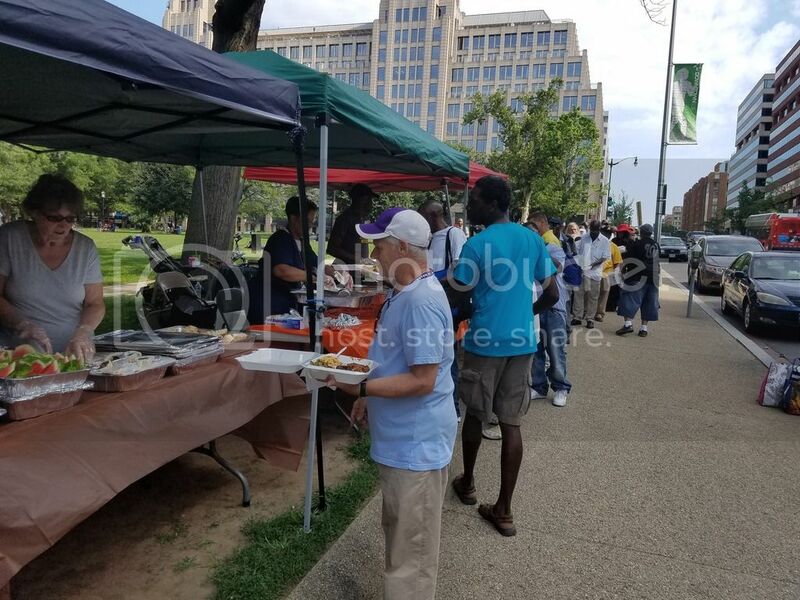 On July 9, 2016 TCCOC hosted a feeding at Franklin Square in downtown Washington, DC to celebrate 10 years of operating in the region. 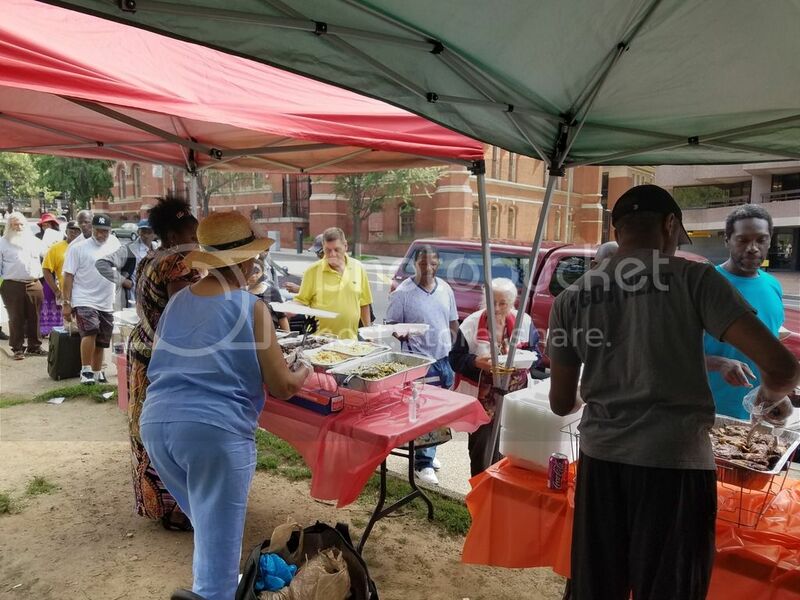 We were able to provide barbecue chicken, sides, dessert, and drinks to approximately 200 hungry individuals, thanks in large part to your generosity. 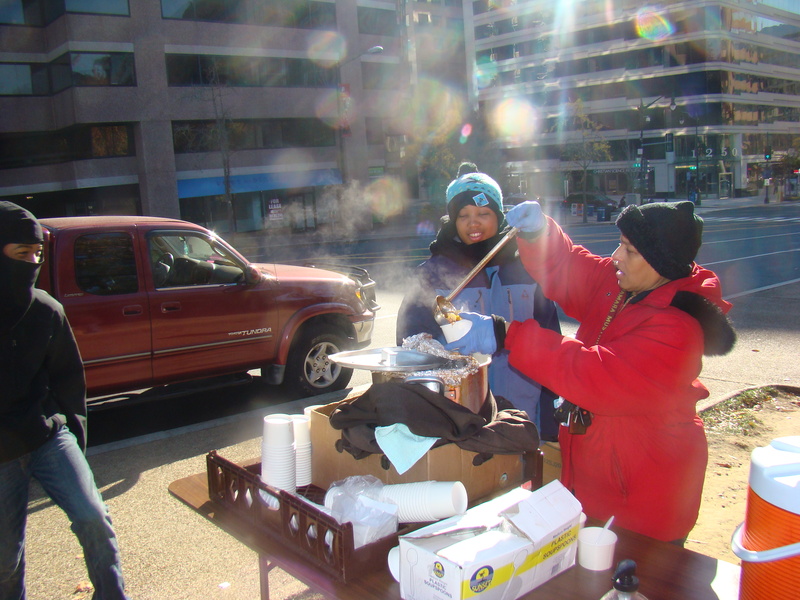 We have been blessed over the past 10 years to have the continued support of local businesses and individuals in our fight to end homelessness and hunger in the Metro DC area and look forward to many more years of partnership. 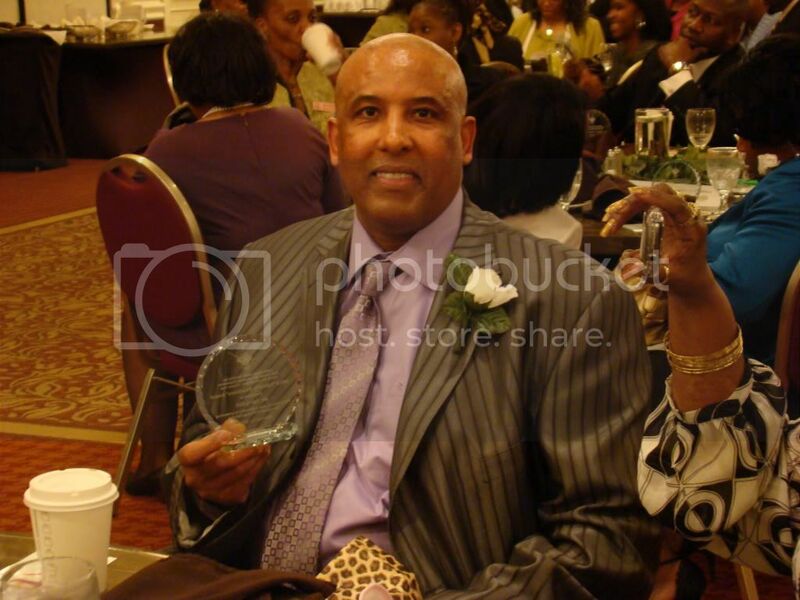 Our Executive Director Larry Hill was privileged to be able to join Rev. 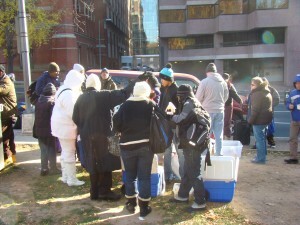 Ellis downtown on Saturday morning to distribute food as part of The Bread Ministry. 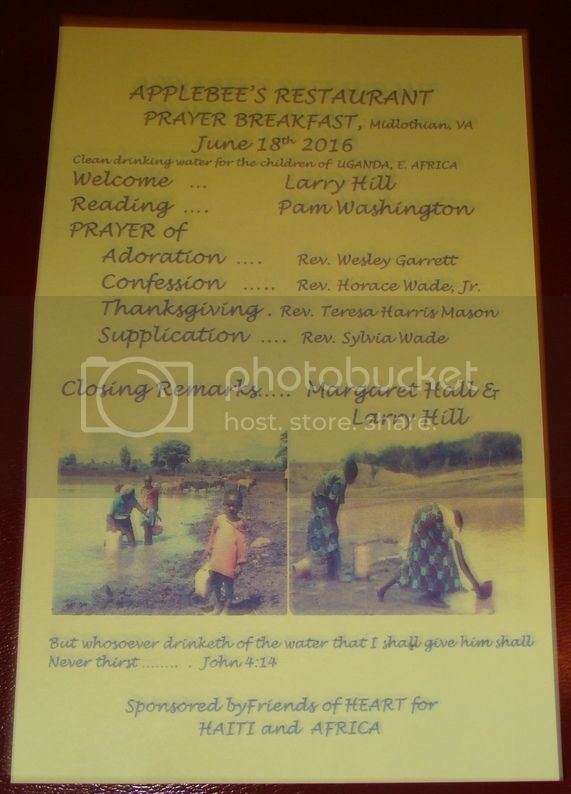 Here are a few pictures. 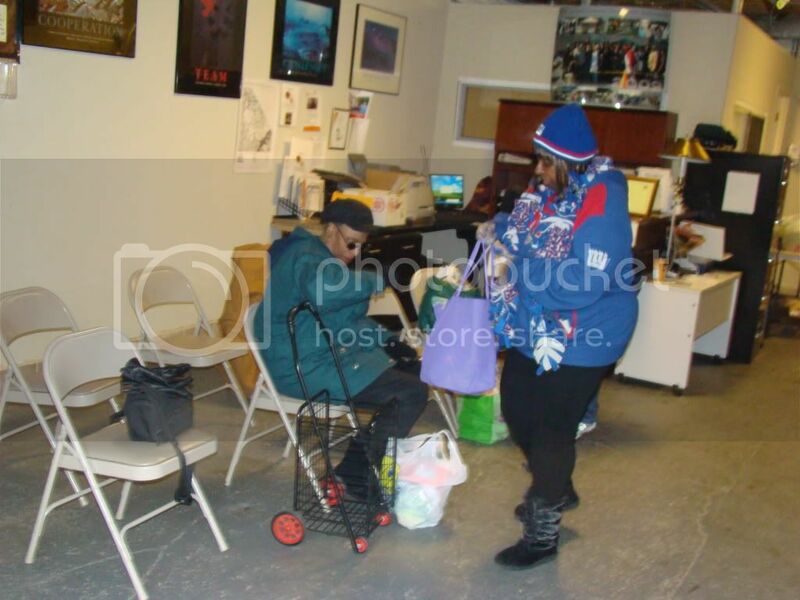 On Saturday afternoon, TCCOC and the DC Center for Therapeutic Recreation (TR Center) were joined by Santa and Mrs. Claus to distribute presents to some very happy children. 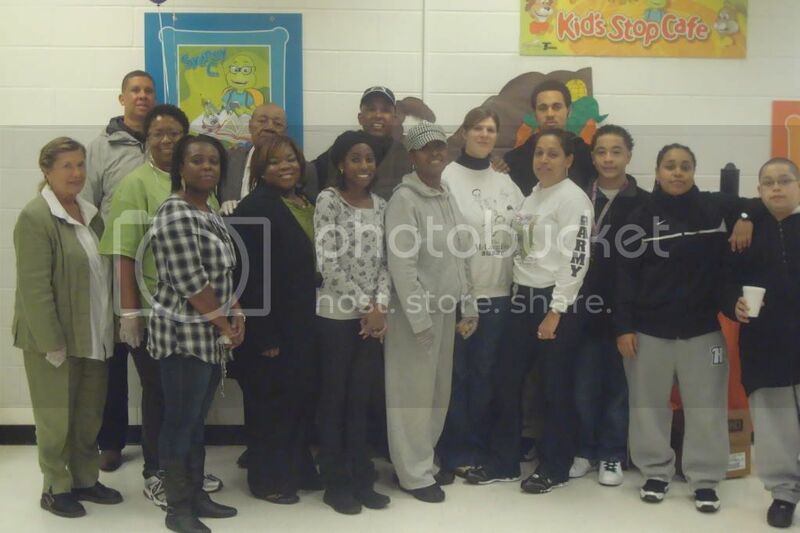 Thanks to the generosity of our donors, our 2014 Angel Tree program was able to provide gifts for more than 100 local children. We would like to thank everyone at Analytic Services and the Homeland Security Studies and Analysis Institute (HSSAI) team who generously provided gifts, helped wrap gifts, and worked to keep us organized. 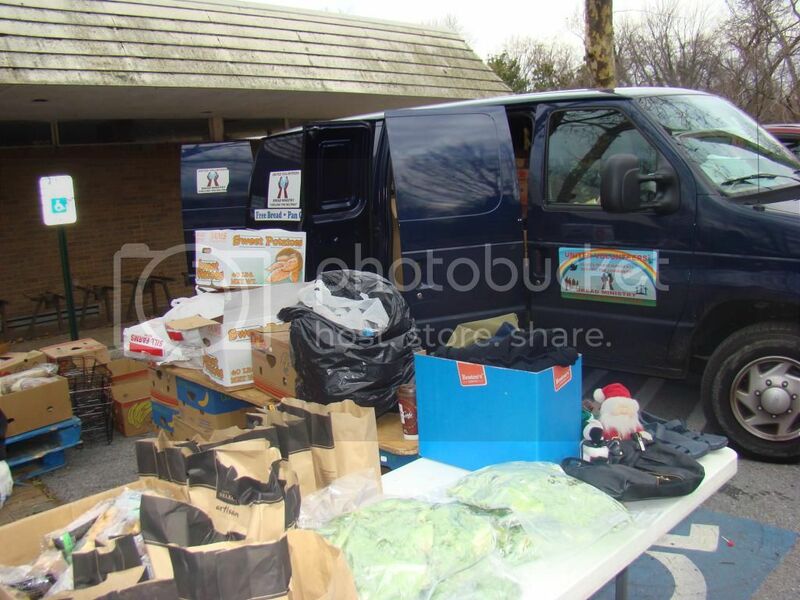 Analytic Services and HSSAI have been TCCOC Angel Tree partners from the beginning and can always be counted on to help make the holidays happy for area children in need. We would also like to thank Persephone Jones for donating Operation Samaritan Christmas Child Purses which were distributed to children who were not included in the Angel Tree program. 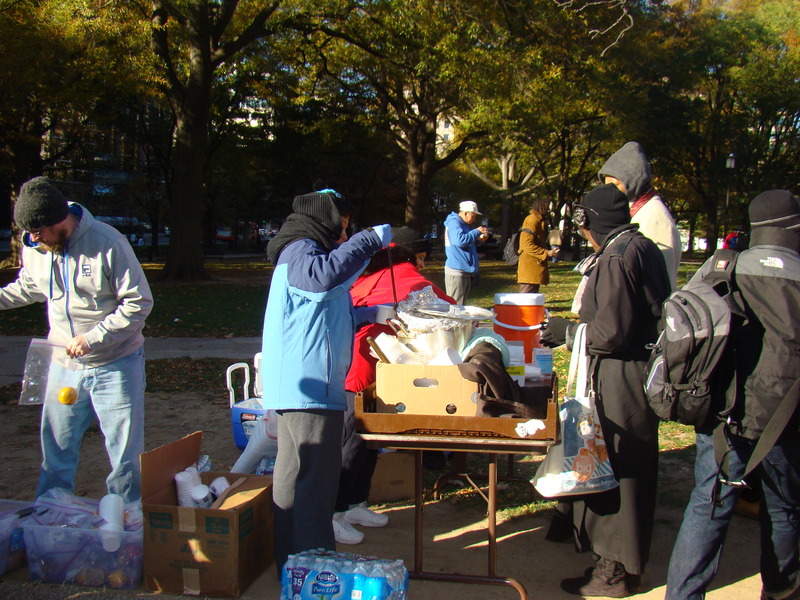 Finally, we would like to extend special thanks to two special donors, one from HSSAI and one from Analytic Services, without whom this event would not have been nearly as successful. 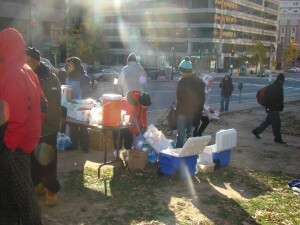 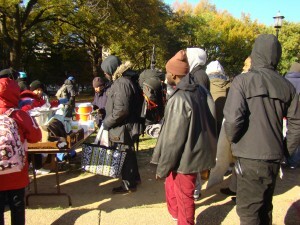 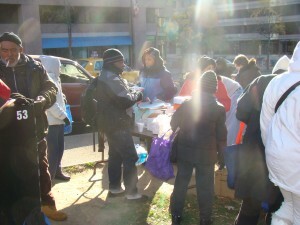 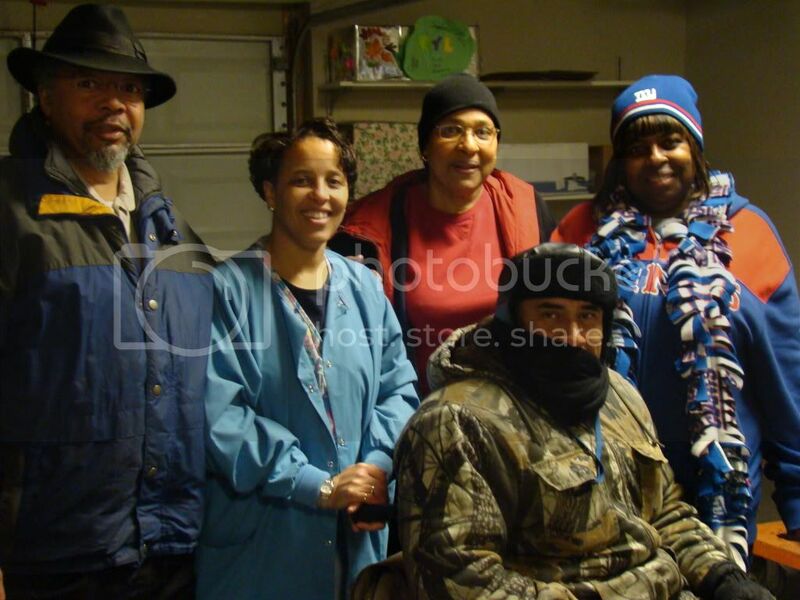 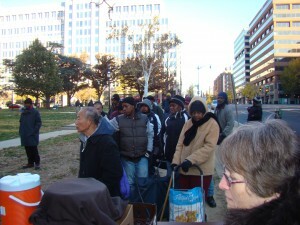 On December 13th TCCOC was excited to head downtown to Franklin Square to provide food and fellowship to people in need. 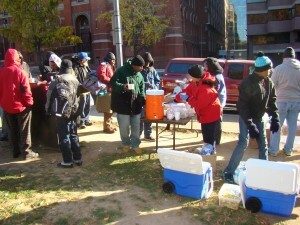 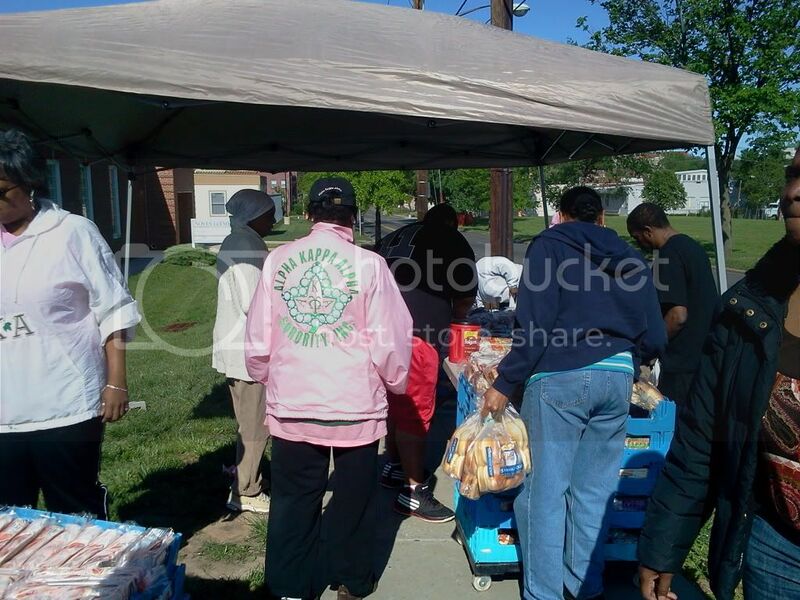 We set up around 8am and by 930 we had served well over 100 individuals. 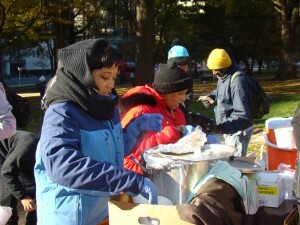 The menu included chili, fried chicken, cornbread, ham and cheese sandwiches, donuts, coffee and tea, and snack bags. 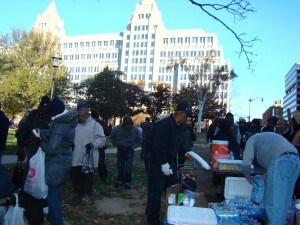 We would like to thank all of the volunteers who came out and helped make this event a success. 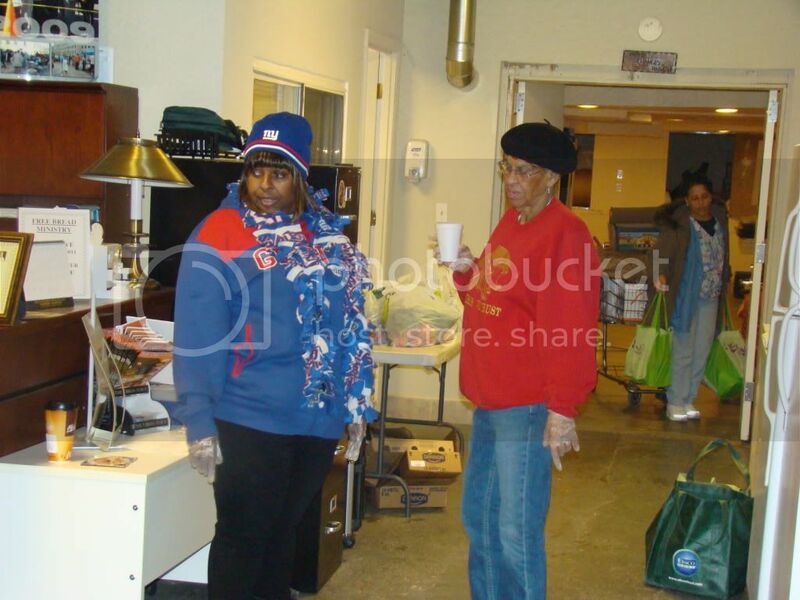 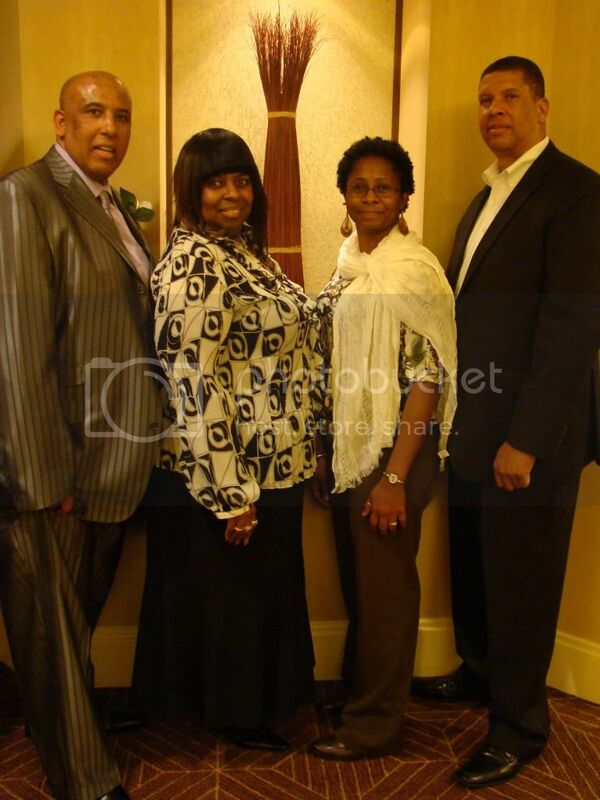 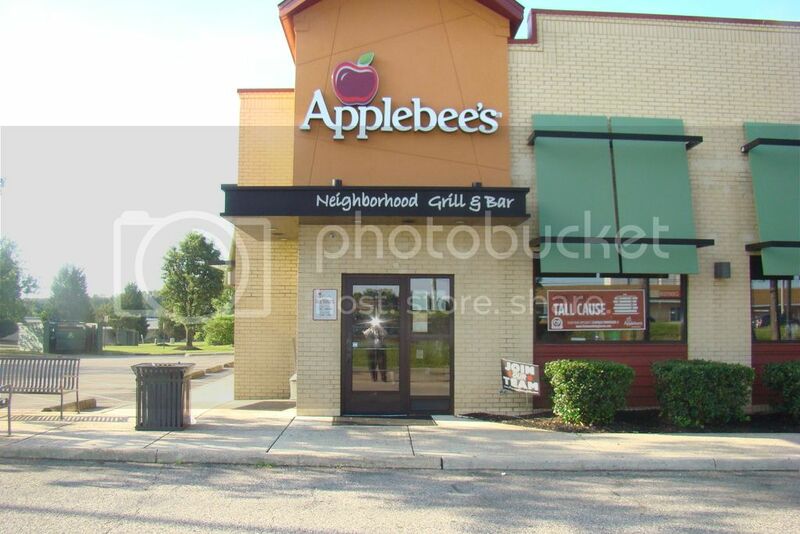 To see pictures of past events, please visit our Photobucket page. 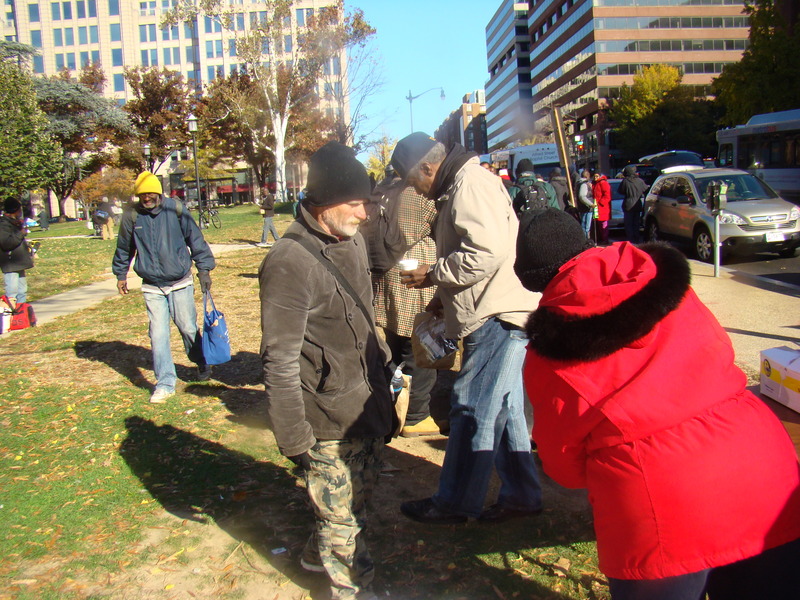 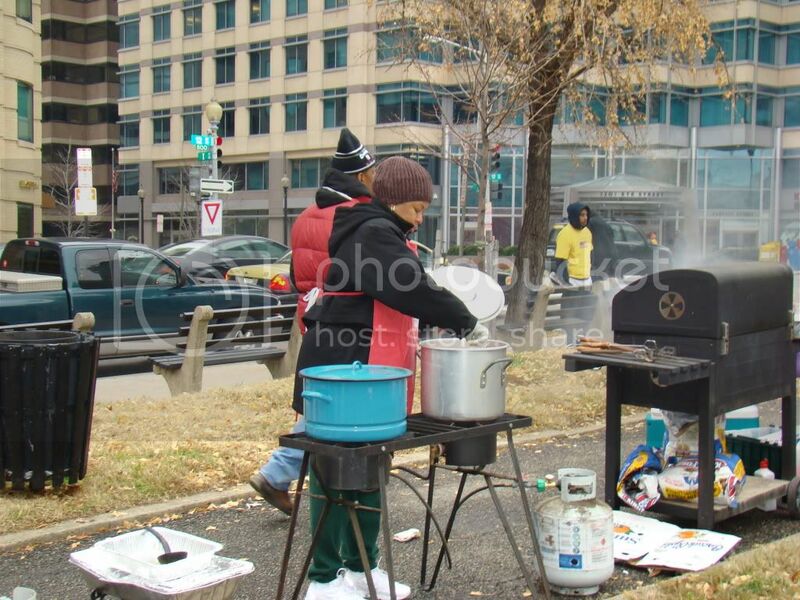 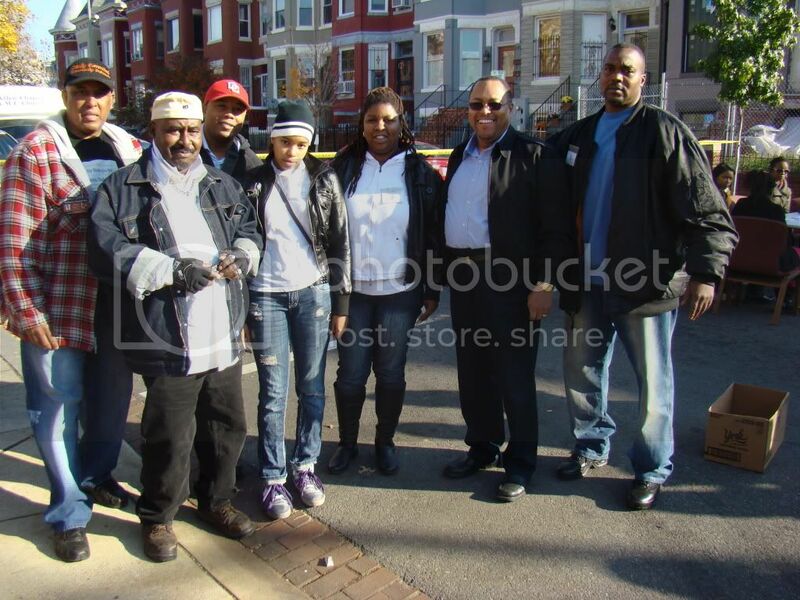 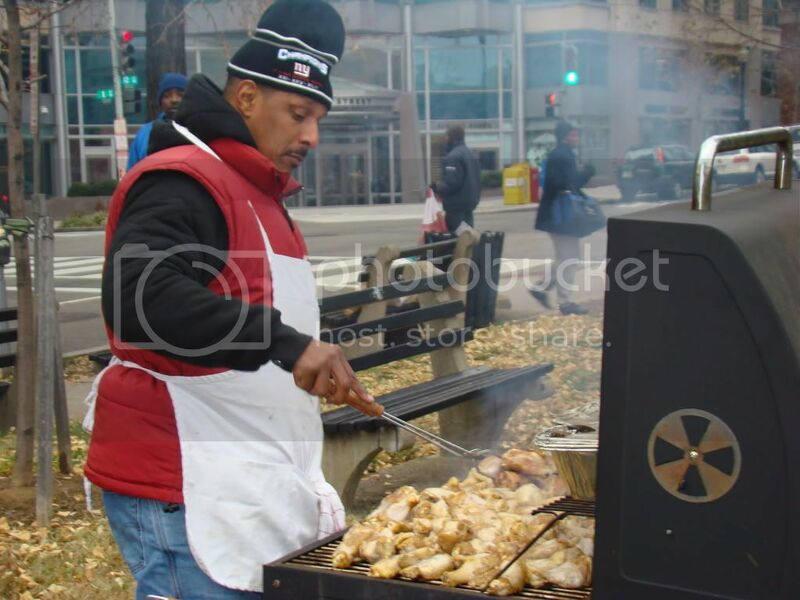 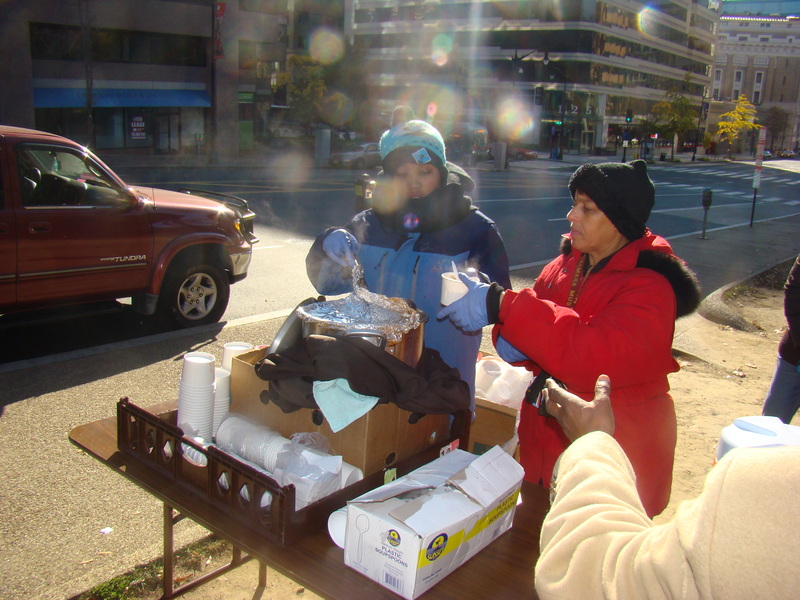 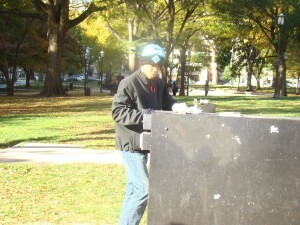 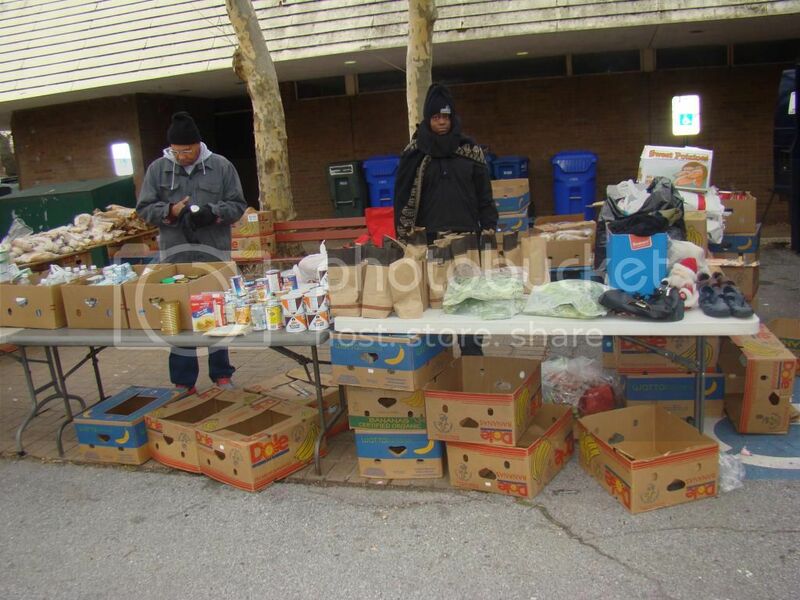 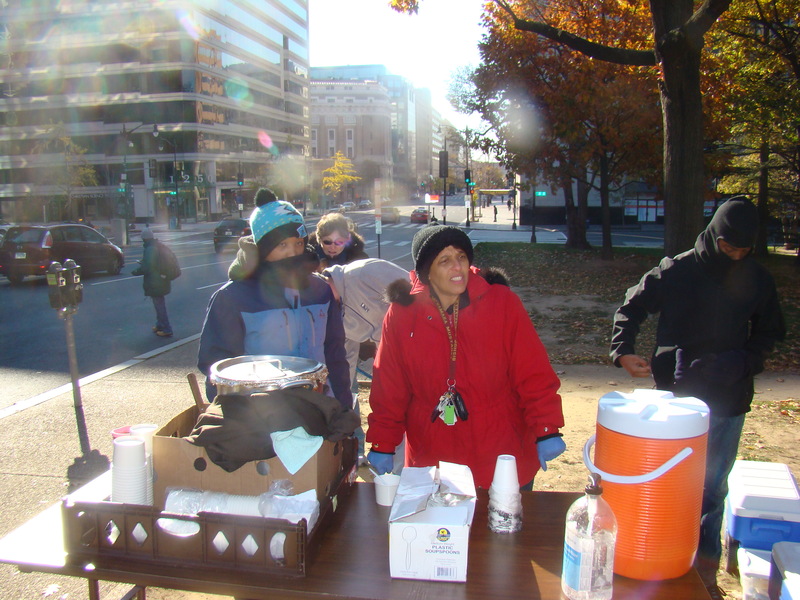 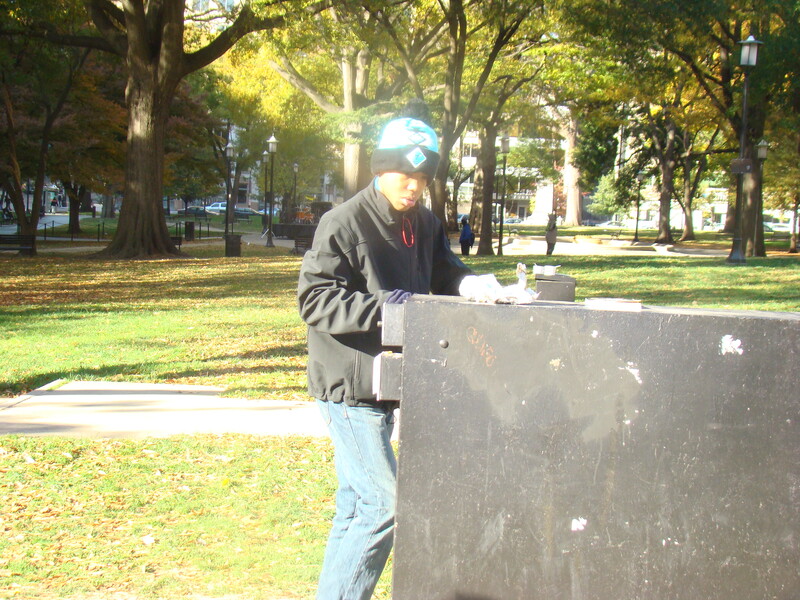 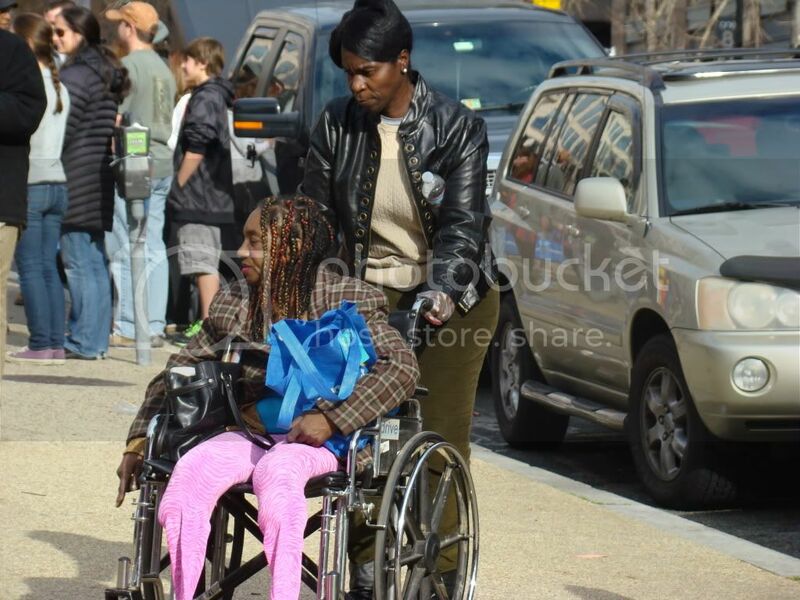 On Saturday, November 14, 2014, TCCOC was in Franklin park in downtown Washington, DC to hand out soup, sandwiches, and snacks for homeless residents. 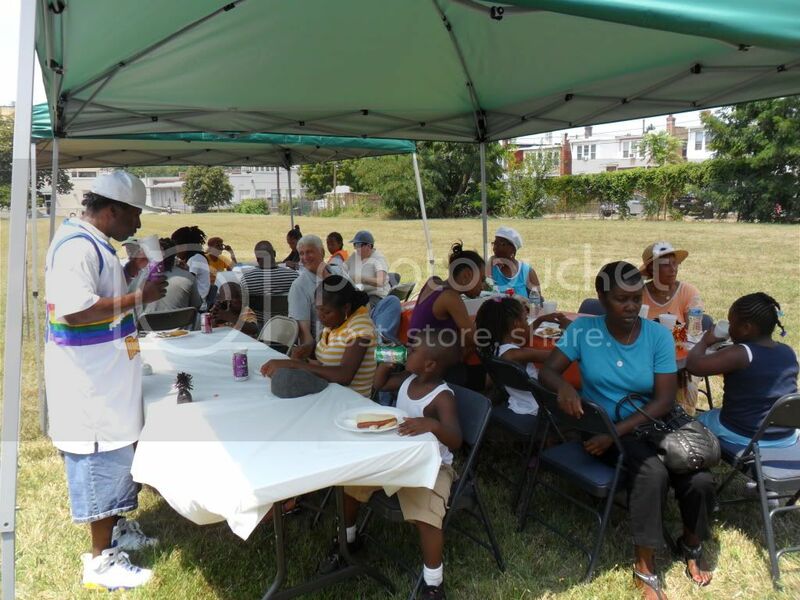 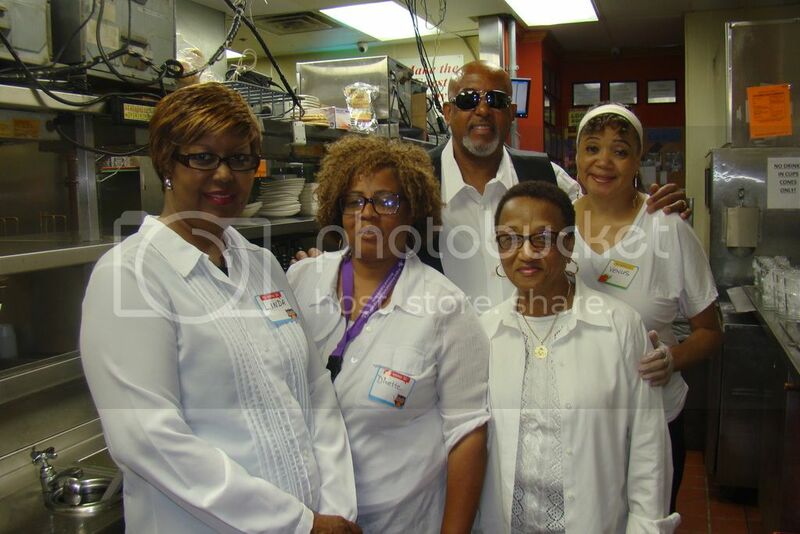 The event was a big success, and we were able to serve approximately 100 individuals. 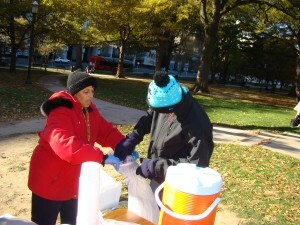 We would like to thank all of our dedicated volunteers for their support. 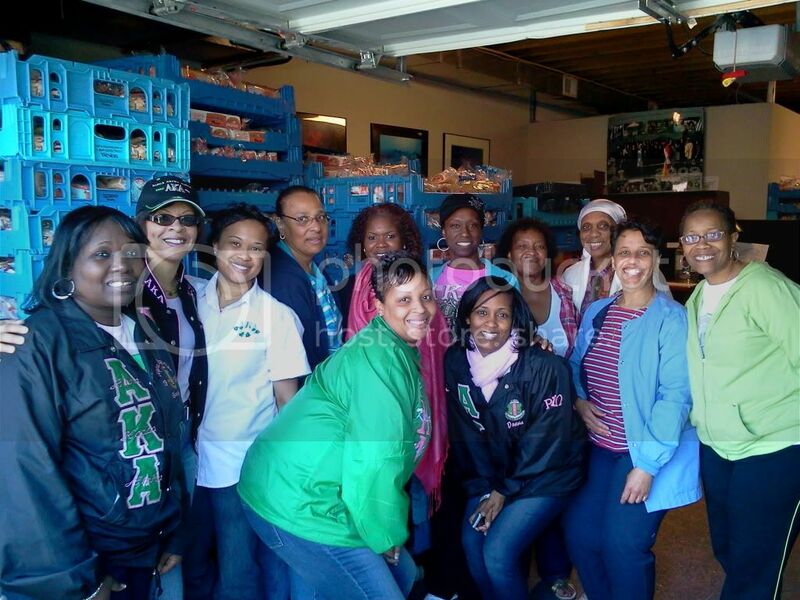 We are pleased to announce that TCCOC has been selected by the Rho Mu Omega Chapter of the Alpha Kappa Alpha Sorority to be the recipient of the Chapter’s canned food drive in recognition of the American Heart Association’s national effort to fight against heart disease. 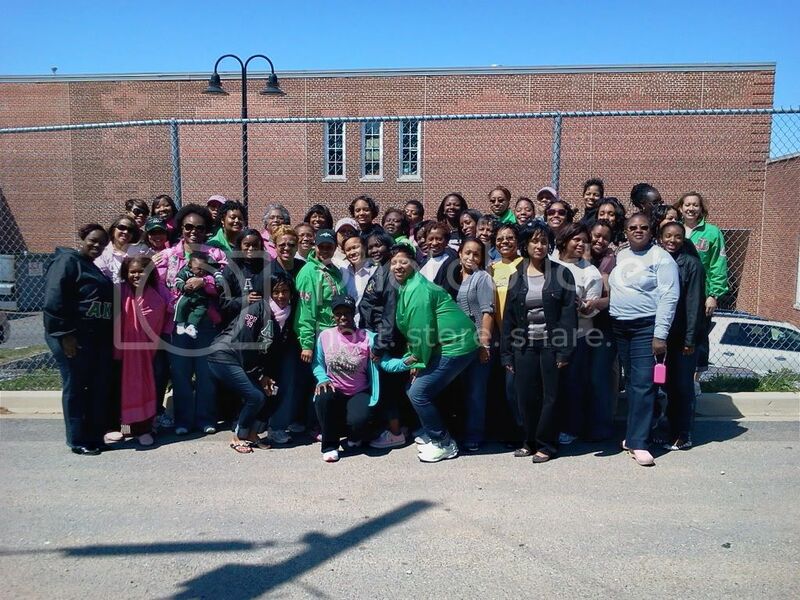 Alpha Kappa Alpha has been a true partner in our efforts and we truly appreciate all of their hard work and dedication on our behalf. 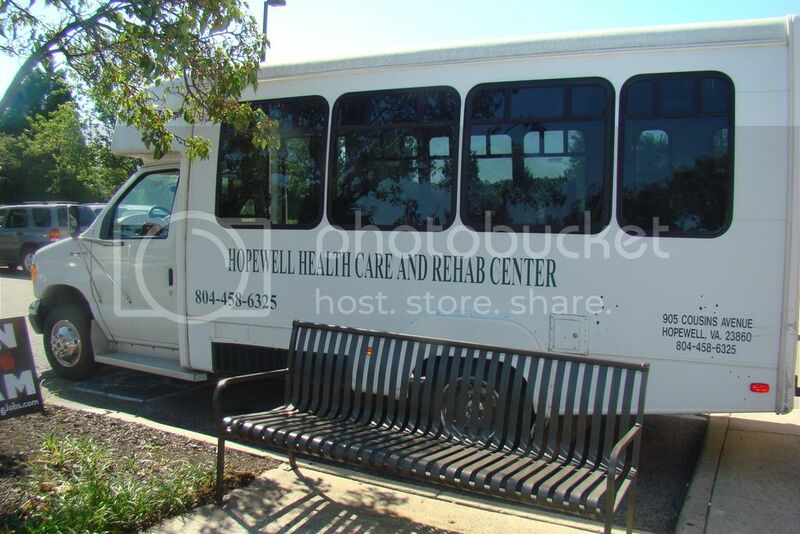 On February 17th, TCCOC will be visiting the seniors at Birmingham Green. 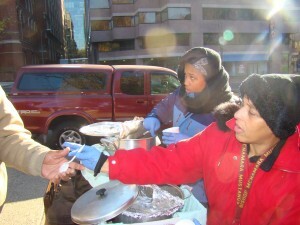 In addition to Black History Month activities, we will also be providing the residents with treats. 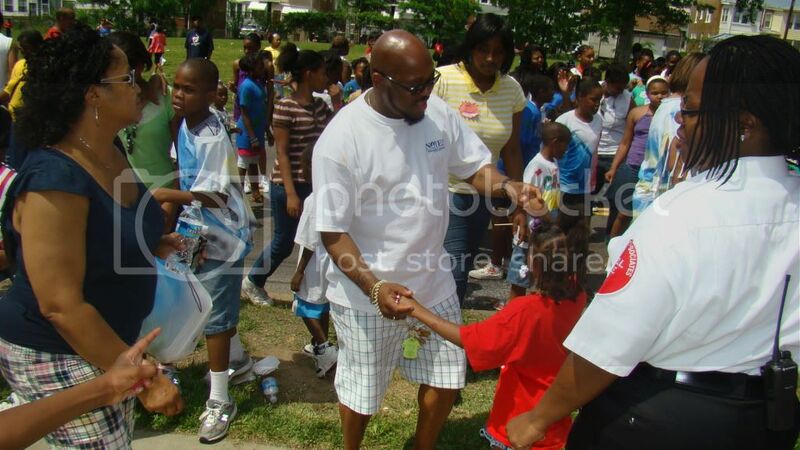 If you would like to participate or donate, please contact Larry Hill at larry.hill.tccoc@gmail.com.